OddGrooves MIDI Libraries are royalty-free drum patterns in standard MIDI format, arranged for Toontrack EZ Drummer/Superior Drummer, Addictive Drums, Steven Slate Drums, Sonic Reality I-MAP and General MIDI.. All grooves are played live by Berklee educated polyrythmic master drummer Magnus Brandell using a triggered drum kit. 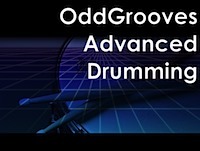 OddGrooves Advanced Drumming covers the time signatures 5/8, 6/8, 7/8 and 9/8. Over 1000 drum patterns in various playing styles with plenty of groove variations (ride, ride bell, closed and open hihats, tomtom grooves, fills and longer jams).